Our focus is on your house. At any price point, your home will stand out. Understanding how home buyers search for homes is key when selling your home. 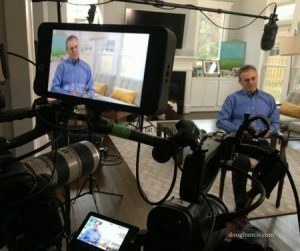 Having spent the last 20 years implementing marketing strategies that help home buyers search online, my advice to you focuses on how to position your home so it will be in front of those buyers and how to inspire them to pay top dollar for your unique home. Through the use of staging, photography, social media, and print ads, your home will be carefully curated to tell a story and increase its value. Professional preparation, before a home hits the market, is an important reason why TTR Sotheby’s listings, at any price point, stand out from the competition. Photography has always been a passion of mine and I use today’s high quality digital photography to emphasize inviting architecture and accentuate the enduring lifestyle of your home. The ease of online search creates an experience where today's home buyers are taking their first tour of your home virtually. My staging experts know how to showcase your home to its best advantage. 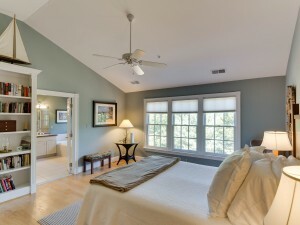 We strive to make this experience intriguing to pique interest and to land the buyer who is captivated with your home. Having worked with first-time buyers, relocation buyers, and move-up sellers, I understand the platforms they are using and how best to position your home. I make sure we are using targeted social media ads often working together with larger print campaigns like TTR Sotheby’s International Realty Spring Luxury Tour. I have been an active agent for 25 years, licensed in Virginia and earning achievement awards for my work in real estate. My wife and I live in Vienna with our two kids and our dog. You can often find us walking along the W&OD Trail into town typically bumping into interesting people we know and talking about life in general. I look forward to talking with you about your moving plans. This simple checklist has helped people start the task of prepping their home, packing, and making high impact updates before we meet. 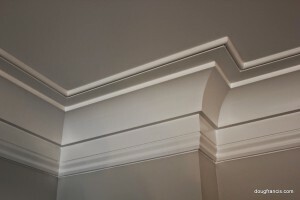 The right paint color can accentuate your architecture like crown molding. Done right, this is a high-return project especially when prepped a pro. At any price point, my goal is to focus attention on your home to intrigue home buyers. Digital photos, staging, social media... I get that strategy. I really prefer to see your home in the daylight, and I will fit into your busy schedule. We'll put together a smart plan based on your moving schedule.